AMC has had no shortage of notoriety over the past few years. The breakout popularity of shows such as Mad Men, Breaking Bad, and The Walking Dead have made AMC an unquestionable source of must-see TV. Sure, there have been missteps (*coughcoughTheKillingcough*), but the quality of the shows that work more than makes up for it. 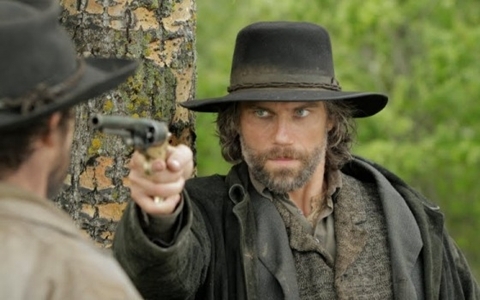 One show that's flown a bit below the radar is Hell on Wheels, AMC's take on the Western drama. Now the entire first season is available on Netflix Instant Watch, and it's definitely worth sampling if you like the genre. At the core of Hell on Wheels is former Confederate soldier Cullen Bohannon (Anson Mount), a man on a mission to find the killers of his wife. His path leads him to the traveling encampment that follows the construction of the first transcontinental railroad. Bohannon takes a job as a railroad foreman, working for Thomas Durant, a less than scrupulous investor in the railroad. Bohannon continues searching for clues about his wife's killers, but also finds himself growing more embroiled in the daily life of the workers, prostitutes, and drifters who make up the camp. With the first season comprising a mere 10 episodes, you've got plenty of time to zip through it before the season two premieres on August 12th. 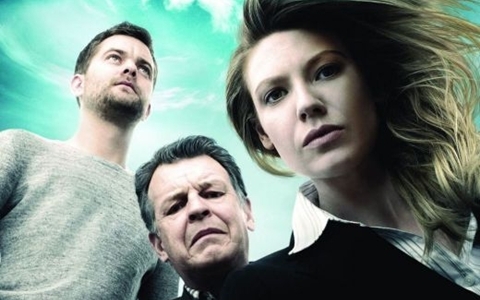 Fringe has become one of the most pleasant surprises of the last five years or so of television. When I watched the pilot back in 2008, I wasn't impressed. I liked the trippy fringe-science setup, but Anna Torv didn't seem like she had the chops to support a show. And what the hell was the guy from Dawson's Creek doing? Were we supposed to take him seriously? Screw you, dude, I sat through The Skulls! But then a funny thing happened. I kept coming back. I probably just assumed it would be another one-season casualty of Fox's ever-sweeping Scythe of Cancelation. But little by little, I watched the show find its footing. I watched it improve on every front. And hey, Pacey actually wasn't a bad actor! If you're a science fiction junkie and have never given the show a chance, check it out via Amazon. The mad science concepts are alternately mind-boggling and stomach-churning, but what really anchors this show is the three-way relationship between Olivia Dunham (Anna Torv, who eventually settled into the role nicely), Peter Bishop (Joshua Jackson), and Peter's brilliant but troubled father, Dr. Walter Bishop (John Noble). The relationship between Peter and Walter will absolutely break your heart sometimes, and Noble should by all rights have a shelf full of Emmys from the role. Fringe also eventually begins unveiling a complex, and completely gripping, larger mythology, one which will come to a head in the show's final season, set to premiere September 28th on Fox. Netflix has been getting all the headlines when it comes to greenlighting original content, with shows in the works from big names such as David Fincher/Kevin Spacey, Weeds creator Jenji Kohan, and horror director Eli Roth. But while they haven't made as big a splash as Netflix has, Hulu has also been dipping a toe into the world of original content, including this rather cool documentary series from Morgan "Super Size Me" Spurlock. With two seasons currently available, A Day in the Life explores the lives of "today's leading figures -- celebrities, musicians, comedians, dancers, entrepreneurs." 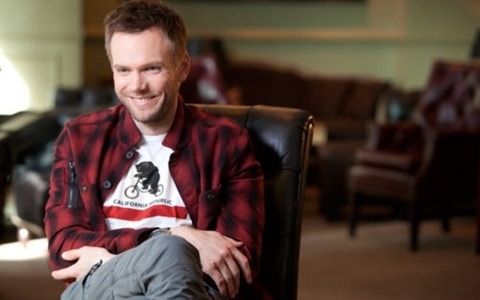 As you'd expect from the title, each episode focuses on one day in the lives of people such as billionaire Richard Branson, musician will.i.am, and even Community/Talk Soup's Joel McHale. Anyone familiar with Spurlock's previous work will find a somewhat different template here. The filmmaker is involved in front of the camera as well as behind it, whether subjecting himself to bizarre experiments or simply serving as a narrator or host. In A Day in the Life, however, his on-camera involvement is much more limited, and the focus is much more on the famous personalities being profiled. I like that Spurlock has cast his net wide in choosing subjects. Most of these people are not necessarily the first names to spring to mind for a series like this…and that's a good thing.